One-piece construction soap dish fabricated of 22 gauge 304 stainless steel. Includes a bar, held permanently between two posts at top of unit. 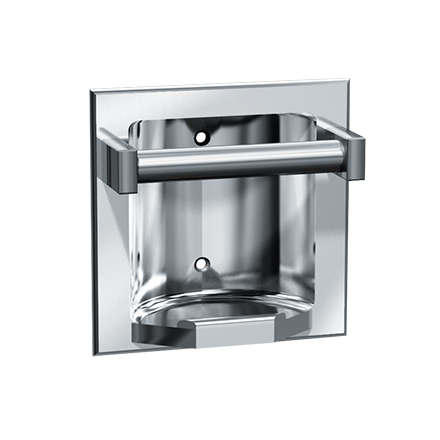 Optional finish and mounting style must be specified as either Bright or Satin and Wet or Drywall -D is Drywall Holes -W is Wetwall Lugs.